Dr. Seuss' THE LORAX, Soon in the Philippines! Lending their vocal talents to the project are DANNY DEVITO as the iconic title character of the Lorax and ED HELMS as the enigmatic Once-ler. Also bringing their voices to the adventure are global superstars ZAC EFRON as Ted, the idealistic youth who searches for the Lorax, and Grammy Award winner TAYLOR SWIFT as Audrey, the girl of Ted’s dreams. Rounding out the cast are ROB RIGGLE (The Hangover, Big Miracle) as the villain O’Hare, JENNY SLATE as Ted’s protective mother, and beloved actress BETTY WHITE as Ted’s wise Grammy Norma. Dr. Seuss’ The Lorax is both a funny and emotional adventure highlighting the importance of balance between nature and progress. The film revolves around the Lorax, the hilarious and lovable character who goes to great lengths to protect the trees and the animals that inhabit them. After the Once-ler chops down a tree, the Lorax emerges angrily from a stump with a dire warning for the young entrepreneur. The pastoral landscape of Truffula Valley is filled with a variety of animals—from soaring Swomee-Swans to harmonic Humming-Fish. Cutest of all are bearlike creatures known as Bar-ba-loots, who tumble among the Truffula Trees. The Lorax’s job as guardian of the forest is put to the test when the ambitious young Once-ler chops down a Truffula Tree and threatens to chop down more to further his lofty business plan. Incensed by this uncaring act against nature, the Lorax angrily criticizes the Once-ler’s actions. From their first interaction, the Lorax and the Once-ler are at odds. Each is determined to get rid of the other, but over time they develop a mutual fondness for each other. Ultimately, the Lorax is no match for the greed and ambition that begins to consume the Once-ler, who stops at nothing to build his enterprise—even if it means chopping down every last tree and destroying the valley. Years later, in a world devoid of trees, Ted ventures beyond the borders of his perfectly industrialized town of Thneedville on a journey to find the Once-ler and learn how he can bring home a tree for the girl of his dreams, Audrey. Although hesitant at first, the Once-ler sees something in Ted that inspires him to tell the story of his encounter with the Lorax, which in turn inspires Ted’s mission to restore balance to Thneedville by bringing back Truffula Trees for the whole town. “Dr. 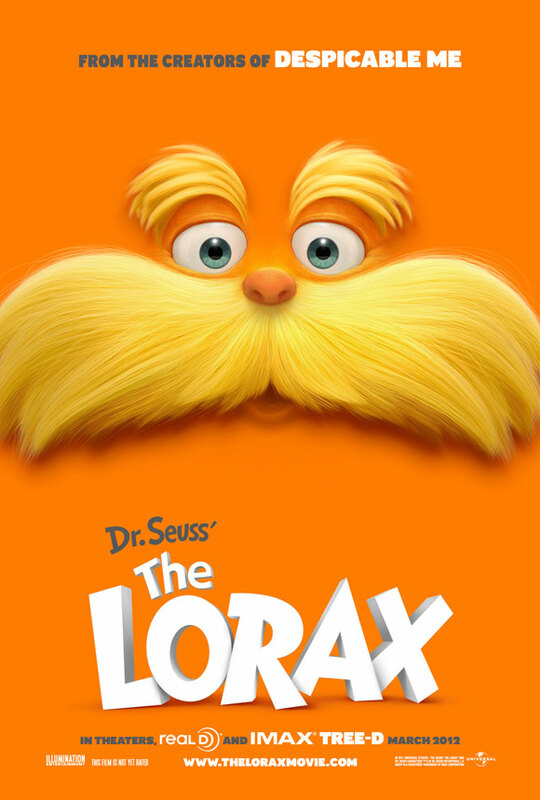 Seuss: The Lorax” is distributed and released by Universal Pictures through Solar Entertainment Corporation.